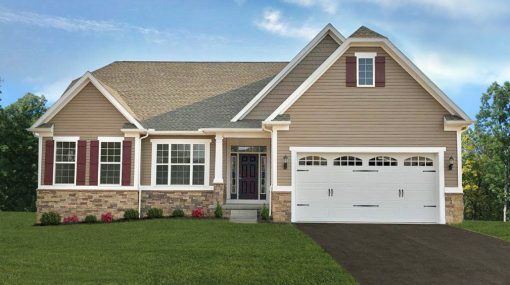 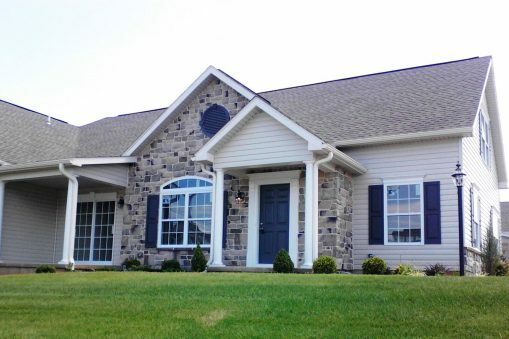 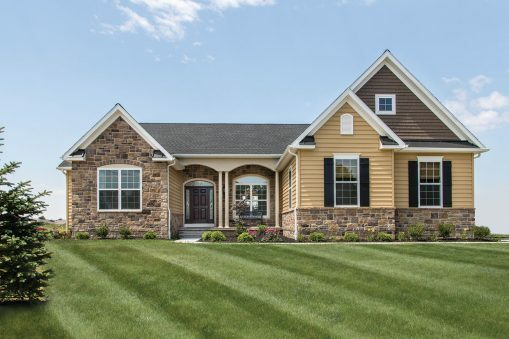 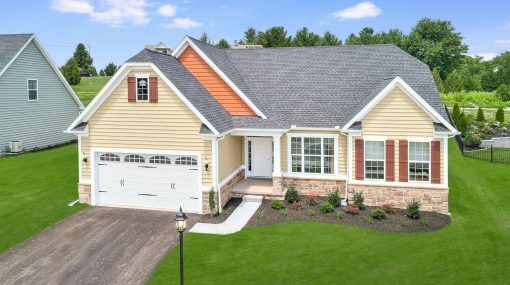 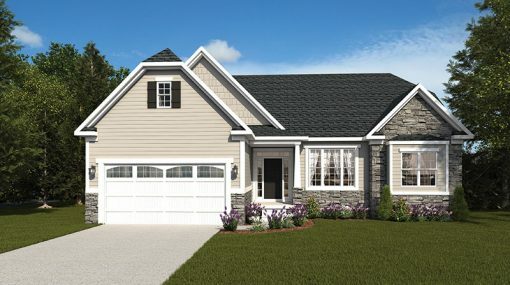 The Olivia, a one story model home built by J.A. 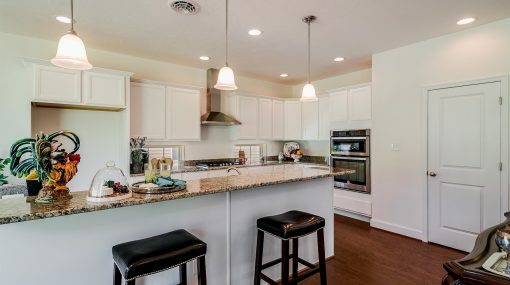 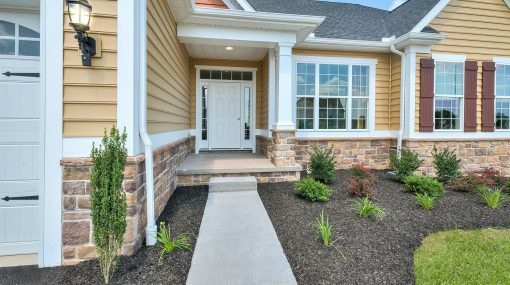 Myers Homes is truly stunning. 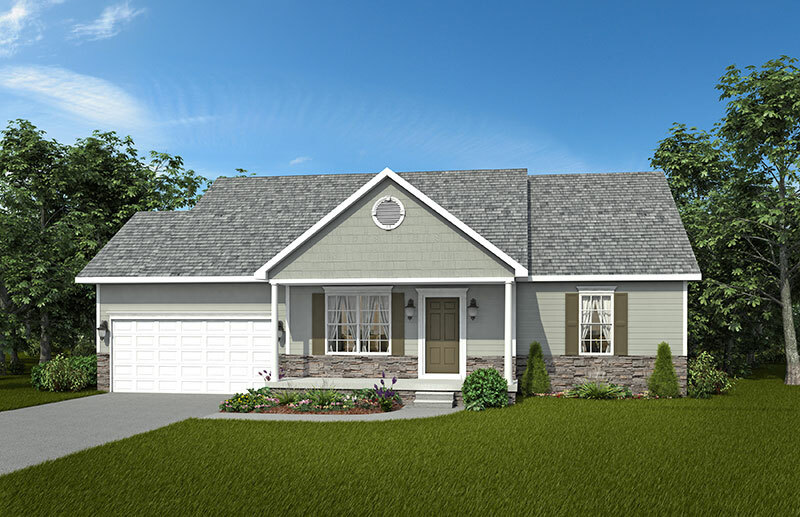 First of all, you’ll notice the lovely curb appeal as you glance across the detailed craftsman style facade. 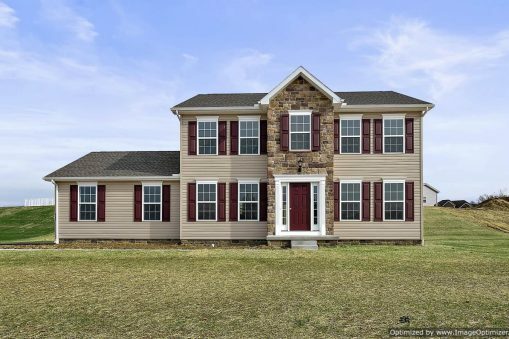 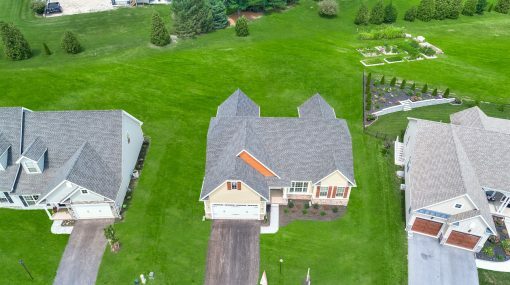 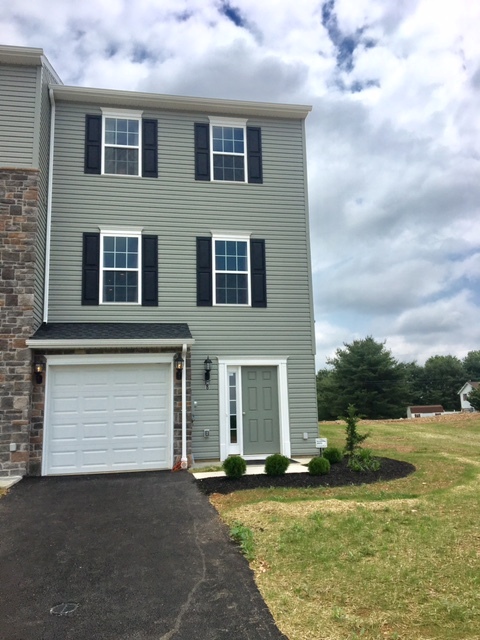 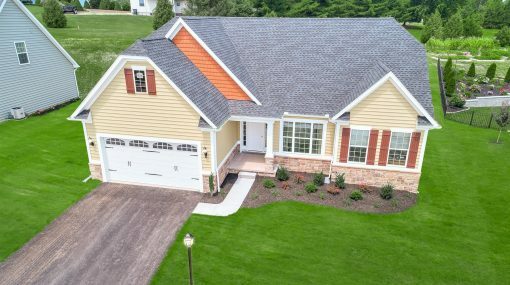 This home is a wonderful compliment for those who enjoy one floor living but want the flexibility of a great room on the second floor and a large finished space in the basement. 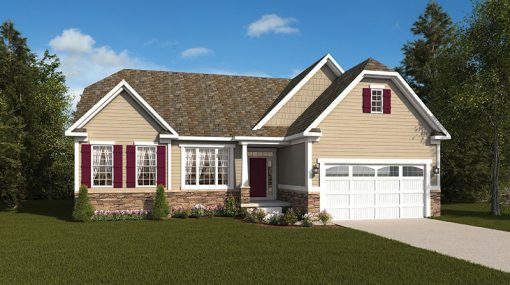 Becoming a proud homeowner is easy with the Olivia and J.A. 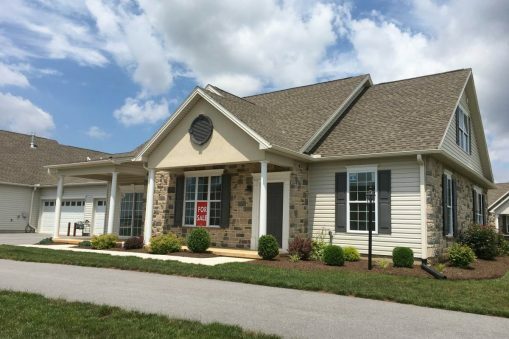 Myers Homes! 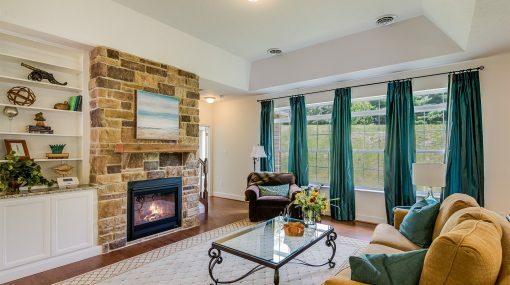 Choose your own exterior and interior finishes, move walls, add a fireplace, outdoor deck and add square footage. 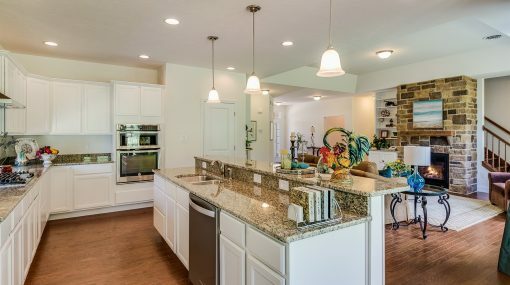 The choices and options are endless! 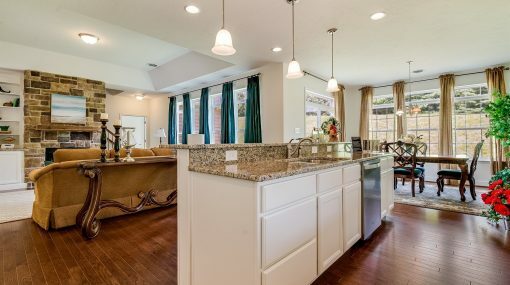 As you enter the home walking into the foyer you’ll be immediately drawn in by the modern, open kitchen and great room that features a vaulted ceiling. 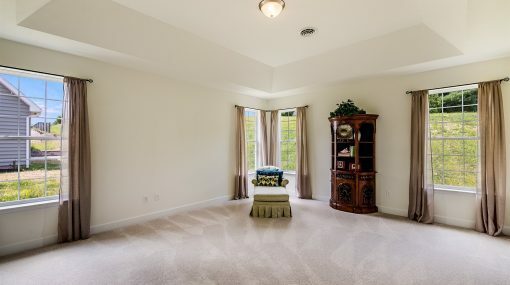 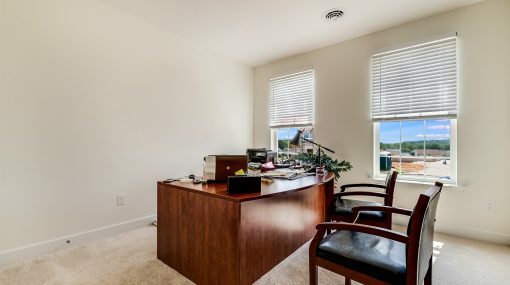 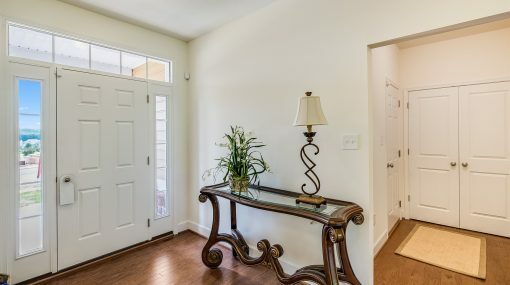 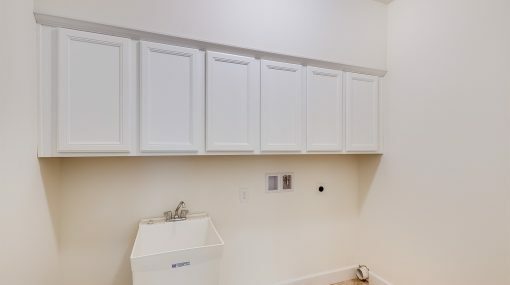 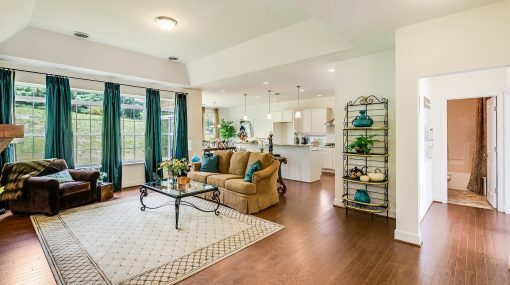 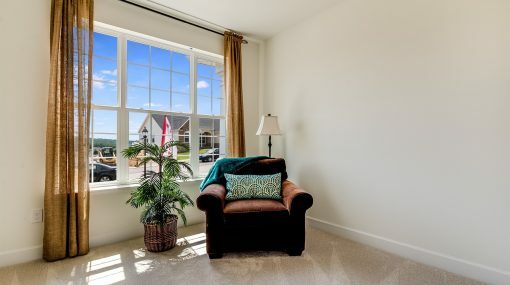 Next you’ll discover the convenient mudroom and all the beautiful sunlight that welcomes you from the windows that lead you into the lovely morning room. 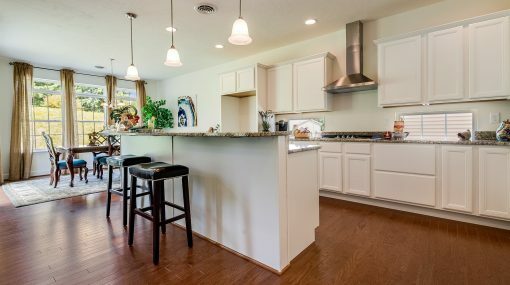 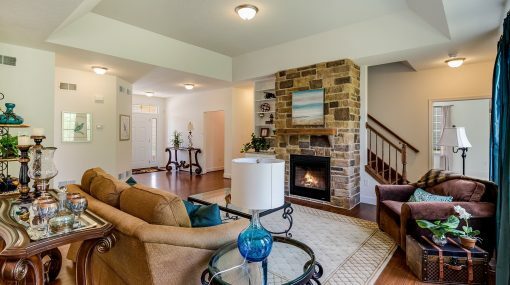 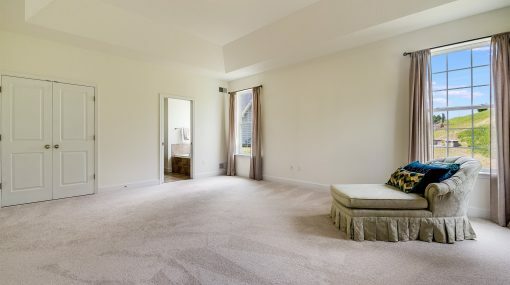 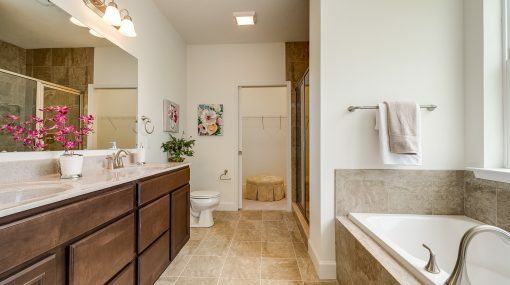 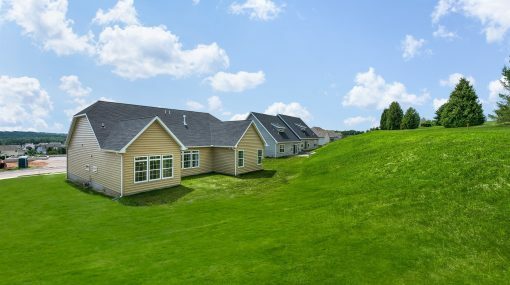 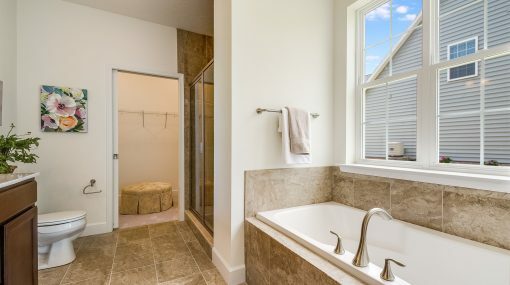 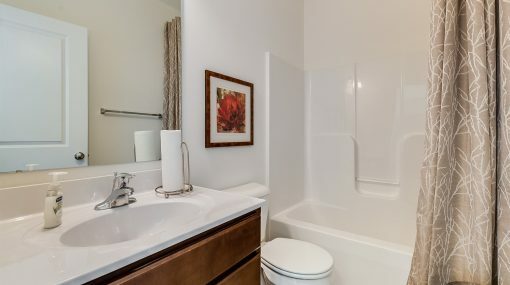 Soon after discovering those areas, you’ll enter the huge owner’s suite featuring vaulted ceilings and the private owner’s bath with double sinks, soaking tub, stand up shower and large walk-in-closet. 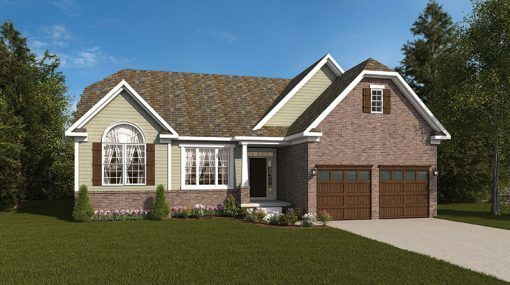 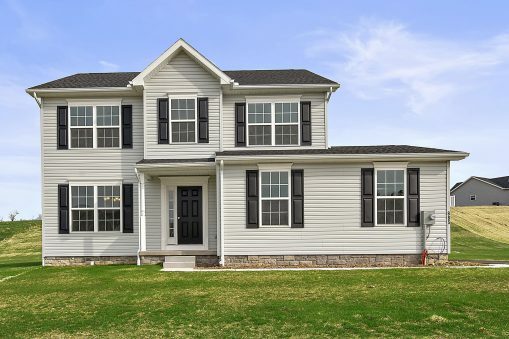 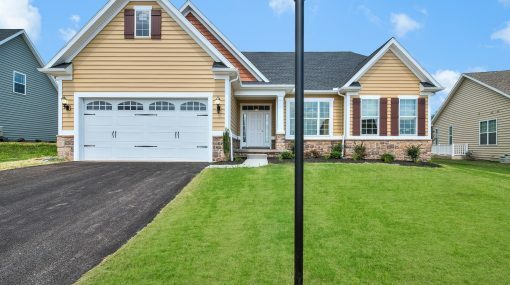 Don’t be fooled by the Olivia’s quaint stature, this home will provide ample space and a large two car garage. 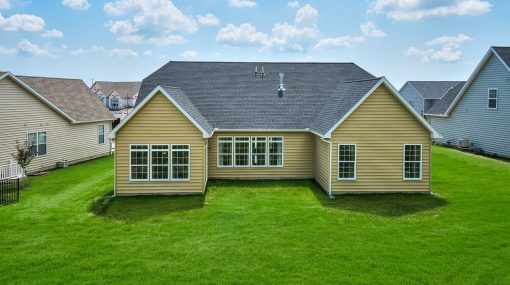 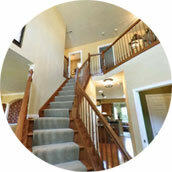 Whether you are downsizing or building your first home, the Olivia will meet and exceed your needs.